Get Better work stories by working with a unique company to will treat you more like family than just a regular Jo or Jo-ette off the street. SL Weddings is not just about the I do's for the couple. It is about the experience they have with their co-ordinators, DJ's, officiants and Photographers. It is about the team that comes together to make sure every part of the day is as perfect as it can be while managing lag, login issues and the usual naked people walking down the aisle due to rezzing. Because no couple in Second Life is like any other, Serendipity Weddings is committed to building the best team that SL allows to ensure our couples not only get the best customer service, but for their wedding to be unique, customized and perfect for them. In saying this, we are now looking to find individuals that want to be part of our team. For some roles, we are more than willing to train from the ground up, for others, we need to see a knack for the creative: -Co-ordinators: You are the one that keep everything running smoothly on the day of the wedding. This includes potentially marching the groom down the aisle, keeping the bride from jumping on the back of the horse and making sure everything is picture perfect for our couples. You will know the ins and outs of everything wedding related for your couple, their music choices and getting the perfect photo's of their nuptials. You will be given full training for every part of their wedding preparation and paid per service you complete. The criteria for this role is adaptability, flexibility, reliability and a sense of humor. -Photographers: You will know angles and lighting, poses and props and the ability to edit your photos to a very high standard. Quick on your feet, you will be able to change poses to suit wedding parties and fill couple criteria with windlights. Working in a team, you will follow directions well and be able to communicate effectively when you have your shots or if you have any rezzing issues. You will be reliable and easy to work with and genuinely love taking photos. Your role is about creating memories of their special day that they will cherish going forward. You will be paid per edited photo and according to the package that the couple choose plus any extra's you sell personally. A good sense of humor and positive outlook is extremely important for this role. -Roleplay Servers: Being able to roleplay is a skill that comes in handy here. You must be able to create the feel of a real life experience through text, actions and voice here in Second Life. Working within our restaurant or serving drinks or dinner at a wedding, we want to ensure our guests enjoy their meals and experience with us. Full training will be provided, but you will need to be able to adapt and change up how you RP depending on different experiences. Paid per dinner, you also will keep 100% of your tips. We are always adding more roles to what we are training for so we are looking to meet people who can add to our team and grow with us. If none of these above roles fit quite right, just send us an application and we can chat! https://docs.google.com/forms/d/e/1FAIpQLSfkuP7BaEBAA9M4UvLPpFyH3ULe4YQP_B2LVw1SkLt-e7UQGw/viewform We are like the family you never wanted.....but we will enrich your life on a daily basis...so why not aye? photographer The perks of being a photographer at Serendipity Weddings! Hello, I'm looking for an affordable wedding photographer who will come to my venue and take some posed and artistic freedom photos of my wedding ceremony and reception. The wedding is not until January 2020 due to us wanting a January Wedding but cannot financially afford one until 2020. We don't have a date just yet but are aiming towards a Saturday in January at around 7:00pm SLT. Even tho the wedding is far out I would like to start researching Photographers and their prices and packages so I can add it to my budget and save up for it. So if you are a photographer or know of one please comment with their Name, SLURL, website address, examples, package info and/or prices! Thank you. Hello! 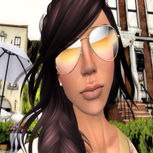 I am looking for a Second Life Photographer to make 3 pictures of my Avie for my profile. If interested, please show me your work and how much you charge. Thank you! !